SALEM, MA. (August, 2018) – Powell & Mahoney, a leading natural craft cocktail mixer company in the United States, will transition their 12 oz. 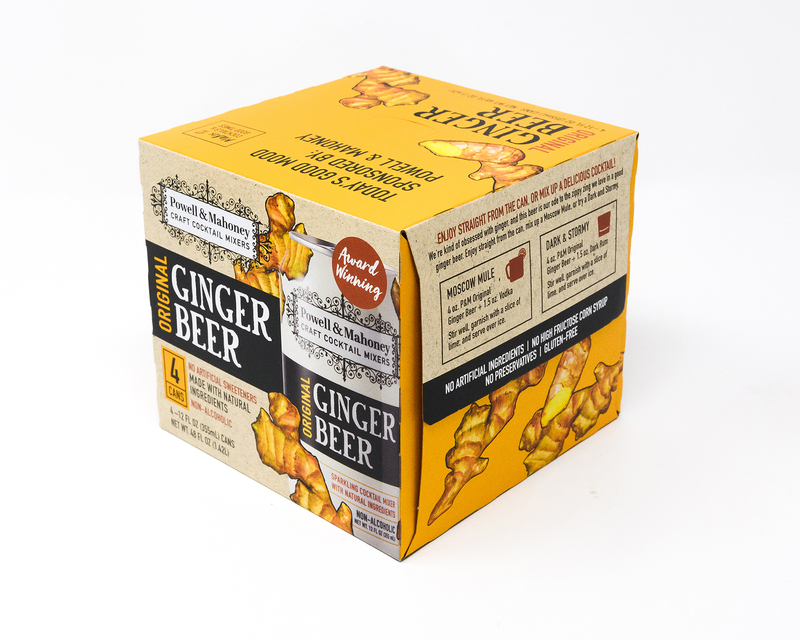 4-pack Ginger Beer, Tonic, Blood Orange Ginger Beer, and Mojito out of plastic top carriers and into recyclable corrugated boxes come early September. Their bold new packaging will provide Powell & Mahoney a creative canvas to communicate what sets them apart within the competitive carbonated mixer category.